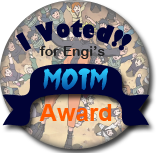 Engi no Jutsu - The Best Naruto RP on the Net! - View Single Post - Easter Announcement and Preview! Thread: Easter Announcement and Preview! Will breaking awesome, relics awesome; really think there can be a lot of fun in that. Only thing I’m wondering is how to do the guns. I’m just worried that somehow, someways it will be way too op. I’m thinking like this; what stops a Genin from walking up to a jounin/Kage and just shooting them in the head? I mean like someone that has been brainwashed or wants to defect.